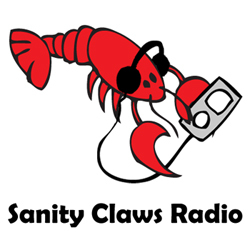 Sanity Claws Radio – Virtual Reality! The crew looks ahead to the future as they discuss the wonders of Virtual Reality in this episode of Sanity Claws Radio. Scotty, Karen, Steve, and Jon discuss the oncoming wonders of Virtual Reality. They talk about their excitements and concerns of the new tech and also give their not very expert opinions on the new technology. Also, the group gathers for a Mario Party, Smash it up together, explore the inner workings of Claptrap, and enjoy some Steven Universe. And finally, we finish off the show with a rowdy round of I Can Top That. Join in won’t you? ← Sanity Claws Radio – The Legend of Zelda Discussion with Minnesota Mike!